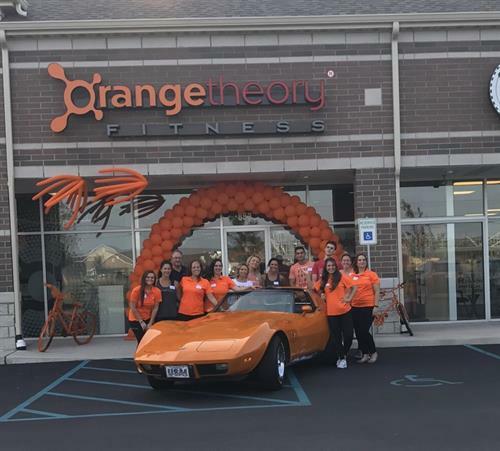 Orangetheory is a premium fitness studio where we host the best one hour workout in the nation! Each workout focuses on training Endurance, Strength, and/or Power. We have a heart rate based interval training, proven to burn more calories post-workout. Heart rate monitors show results in real time on large studio TVs. We train in 5 heart rate zones. Our fitness coaches prevent you from over or under training. Near the corner of Summit and Broadway in Crown Point. 852 N. Superior Dr. Crown Point, IN, 46307.